Award-winning professor Robert Winter (UCLA) invites you into a world of music and ideas as diverse as the one we live in. MITA weaves together cultural contexts, sound-drenched explanations of hundreds of musical terms, and world-class recordings with graded interactive guides spanning the entirety of Western classical music (plus blues, jazz, popular, and many global styles). Joined by custom videos featuring respected scholars and dozens of talented student musicians, Winter leads novices and experts alike through a groundbreaking digital learning environment guaranteed to deepen and enrich your relationship with music. Robert Winter’s masterful and profoundly original MITA represents the first thorough rethinking in music pedagogy in many decades. It will set the standard for a very long time into the future. There is simply nothing else like it—and I cannot imagine another distinguished musical scholar who has remotely the facility with new media design to pull it off. The interactive nature of the program is as extraordinary (and duly attentive to how learning occurs) as the scholarship is authoritative. Robert Winter, a skilled performer in his own right, is deeply sensitive to music, evidence for which is apparent on any screen in this endlessly fascinating and intellectually responsible program. Robert Winter and Peter Bogdanoff’s Music in the Air is simply far and away the best general platform for exploring music ever devised. But even more, I simply love it for myself! Going back to rediscover long lost musical friends I don’t often encounter is a special personal delight. From the Marian Antiphon to the Palestrina Credo, from the finale of Mozart’s “Jupiter” Symphony to Berlioz’s Symphonie fantastique, from Brahms’s Haydn Variations to Stockhausen’s Song of the Youths—as a composition student I was enthralled by the depth to which I could explore all these varied works. Feasting on MITA led quite naturally to my creating custom MITA scores for Rameau’s Castor et Pollux and Handel’s Messiah. 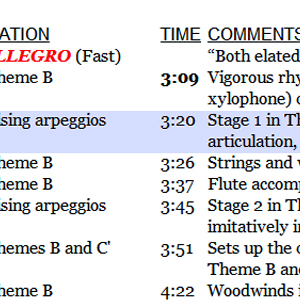 This emboldened me to tackle Beethoven’s iconic Fifth and (whatever got into me?) 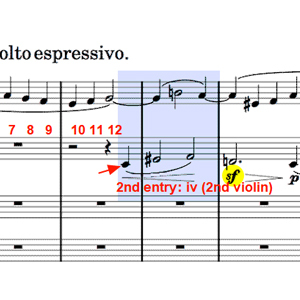 the staggering first movement of Mahler’s Sixth! With the extensive and engaging narrative that accompanies all these masterpieces, there’s enough stimulating material for a student of music to chew on for years. MITA is terrific. It’s sort of a combo between a textbook and an interactive digital humanities website. 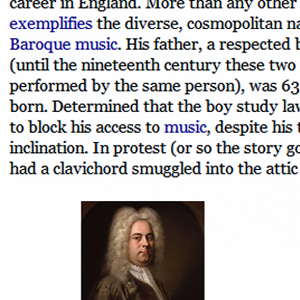 All of the hyperlinks are an amazing resource: to photos, scores, biographical info, video. It brings the music under discussion to life in an exciting way. MITA is a remarkable educational achievement. 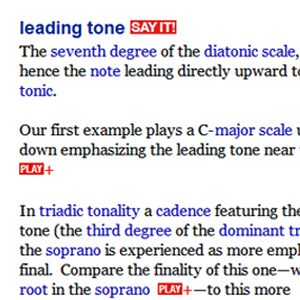 It is the best tool I have ever seen for a newcomer to use in learning more about music. MITA is impressive and easy to use. MITA is a wonderful resource. I trust it will have broad appeal. MITA is an incredible achievement. I’ve explored the Baroque entries and like the multifaceted nature of the presentation. It’s a truly deep dive but not overly burdensome in terms of density of detail – a real treasure for those coming new to music and those who want to learn more. ArtsInteractive (MITA’s publisher) was founded by Lead Author Robert Winter and Programming/Design Director Peter Bogdanoff. Our mission is to foster a passion for live music with informative, sound-based, easy-to-use interactive software. The award-winning members of our team have been leaders in digital media since 1989 and have over 100 combined years of experience in university music education. Already using MITA? We're here to help. Get pointers on how to make the most of the program. Who Should Study Music and Why?